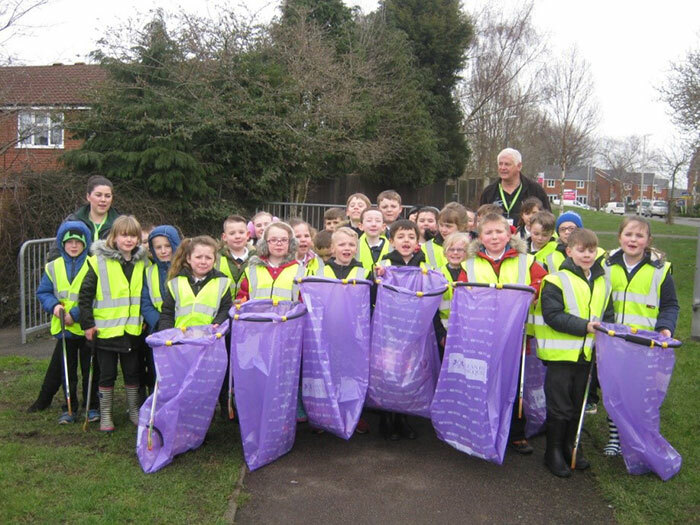 Year 3 pupils at Race Leys Junior School joined Nuneaton and Bedworth Waste Education and Recycling officers, Katie and Phil, on Friday 4th March for a community litter pick. As well as giving a much needed tidy up to the passages and pathways used by children on their way to school, the litter pick was also part of the ‘Clean for the Queen’ initiative and the Griffin Schools Trust Founder’s Day celebrations. All the children thoroughly enjoyed themselves and did a brilliant job of tidying up some heavily littered areas; they are now hoping their clean up will discourage further littering.